Acts of domestic violence can be committed by current or former spouses, a live-in partner or former live-in partners, a person with whom you share a child, or even someone you are dating. This page of common questions is here to help those who are learning about domestic violence and how to protect themselves and their family from abusive situations. Domestic violence can be very serious, and many abusers threaten further or more serious abuse if the abused victim reports the activity to authorities. Do you have a question that isn't addressed below? Contact us today to talk to an experienced Seattle domestic violence attorney. How does Washington law define domestic violence? Washington state offers a very broad interpretation of the term domestic violence. Washington law defines it as any physical harm, bodily injury, assault, or inflicting the fear of physical harm, bodily injury, or assault, between members of the same household or family. It also includes sexual assault by a family member, as well as stalking. Here is some important information about domestic violence in Washington, including details about domestic violence charges, how victims can seek legal protection through the court system, and how to get help from an attorney. While these are all crimes when committed against anyone, when it happens at home between family or household members, it’s typically considered domestic violence. This is legally important because the state of Washington has mandatory arrest laws in certain domestic violence situations. If a police officer responds to a 9-1-1 report of domestic violence and finds reason to believe (probable cause) that a domestic violence offense occurred within the past four hours, the officer is legally obligated to arrest who he believes to be the primary aggressor. This is sometimes known as the “four-hour rule,” and very little evidence is required to make an arrest, even if charges are later dropped. The state of Washington has several legal mechanisms that can help protect victims of domestic violence. One of the most common ways to protect yourself is with a domestic violence order for protection. The forms for this type of order can be obtained from the Court Clerk. Once the paperwork has been filled out you, will be put in contact with a judge to talk about it. If it’s an emergency, a 14-day temporary order may be put into effect immediately while a more formal hearing with a judge is arranged within two weeks. This hearing will determine whether the order should be extended to a year, or possibly longer, depending on the severity of the situation. A domestic violence order of protection does several things to help victims, including barring the respondent (the person accused of domestic violence) to leave a shared residence or to stay away from your residence. It can also temporarily grant sole custody of children to one parent, and it can establish temporary visitation rights for a parent. An order of protection can also let you retrieve essential personal items from a residence and allow you the use of a family vehicle, if needed. An order of protection does not offer a permanent solution to child custody, however. It also does not deal with the permanent division of assets, child support payments, or spousal maintenance payments. Orders of protection are often confused with restraining orders, but restraining orders are actually a different type of court order. Restraining orders are usually a part of a divorce or other family law situation, and they have broader powers than an order of protection that include child support, spousal maintenance, and asset division. Lastly, a no-contact order may be issued by the court when criminal charges for domestic violence are pending. You do not need to apply for this type of order, as the court will make the decision as a part of a bail hearing, arraignment, or sentencing for the accused. It does not offer solutions for child custody or support, spousal support, or asset division. Nobody should have to suffer domestic violence in silence, regardless of gender or sexual orientation. You are not alone, and help is available. There are many resources available for domestic violence survivors in Washington and the Seattle/King County area, including emergency shelters and housing alternatives. A family law attorney with domestic violence experience can also help connect victims with the support they need. The attorneys at Law Offices of Molly B. Kenny will be there when you need legal help with domestic violence or other family law issues. To arrange a private consultation in our Bellevue office, please call us today, or use our contact form to send an email. Will I be safe under a WA state civil protection order? What should I do if I’m falsely accused of domestic violence? Domestic violence is a serious problem all across the nation, including in Washington, and charges need to be taken seriously in order to protect lives. However, a false accusation of domestic violence by your spouse can leave you feeling embarrassed, angry, and afraid for your future. It’s easy to become paralyzed by emotions or act rashly in the aftermath, which may only make things worse. However, there are steps that you can take to protect yourself and how to get legal help. A false accusation can be a powerful destructive force in your life, potentially alienating you from your family, friends, and even co-workers if the word gets back to your employer. It’s an extremely damaging form of revenge emotionally, socially, and legally. Sometimes it is used as an attempt to gain leverage during a divorce, particularly during child custody proceedings, as a domestic violence charge could result in losing custody or visitation rights, or both. Domestic violence carries serious legal penalties that can affect your life for a long time. Most domestic violence is charged as a fourth-degree assault, which is considered a gross misdemeanor. A conviction can result in up to a year of jail time and a fine of up to $5,000, plus mandatory therapy that can take a year. A more serious charge is a second-degree assault, which is a class B felony. A conviction for this can result in up to a decade of jail time and as much as $20,000 in fines. With either charge, it’s likely that you’ll lose the right to possess a firearm or a concealed carry license in the state of Washington if you are convicted. You also face the prospect of losing your job, particularly if you’re in the military, law enforcement, or certain other public service positions. You should be aware that the state of Washington takes false accusations seriously. The person who makes a “false or misleading statement to a public servant” such as a police officer can be charged with a gross misdemeanor under state law. This type of crime can carry a penalty of up to a year in jail and a fine of up to $5,000. There may instead be a charge of “obstructing a law enforcement officer” in the discharge of his duties, which can carry similar penalties. Talk to an attorney as soon as possible, especially if you’ve already been arrested. Washington law mandates that an arrest be made if the violence is believed to have happened within the past four hours. Your attorney will be able to advise you of your legal options and what to do to protect yourself. A no contact order or other protective order may be issued as well, legally barring you from speaking to or contacting your accuser. It’s important that you not violate this order. Your main recourse is to go through the legal system, which is why it’s vital that you reign in your emotions, get legal help, and think carefully before you act after the accusation is made. By keeping a cool head, you can avoid making the situation worse and ensure that your legal rights are protected. At the Law Offices of Molly B. Kenny, we know how serious domestic violence is and how damaging false accusations can be. Not only does it hurt everyone involved in the situation, it also harms all the men and women who truly are the victims of domestic violence. Know that we treat all of our clients with respect, and we will work tirelessly to gather the necessary evidence that can disprove false allegations of domestic abuse and violence. For a private consultation in our Bellevue office, please use our contact form to send an email, or call us today to discuss your situation. What kinds of help can abused immigrant women get for their children? Have been abused by a spouse who is a U.S. citizen or lawful permanent resident. Are children (under age 21) who have been abused by a US citizen or lawful permanent resident parent. In addition, you could be eligible for other types of immigration relief even if you are unmarried, if the person who abused you is not a legal resident, or if your abuser is not related to you. What Kinds of Benefits Could You Get If You Leave an Abusive Situation? Emergency Medicaid. This plan allows you and your family to get emergency room treatment, as well as hospital care for cancer treatment and dialysis. Insurance. The Washington State Health Insurance Exchange allows abuse victims to get subsidies and help with copays and medical costs. Medical Care Services (MCS). This program gives medical assistance to disabled immigrants or victims over age 65. Children's and pregnant women's medical services. All low-income pregnant women and their children are eligible for these services (regardless of residency status). State Family Assistance (SFA). This program offers cash assistance for eligible families with dependent children. Pregnant Women's Assistance (PWA). Provides cash benefits for low-income pregnant women. Food Stamps. Women can get help feeding their children through the state-funded Food Assistance Program. Working Connections. This program subsidizes the cost of child care for working parents. The first step you need to take to protect your family is to get away from your abuser. Read the related links on this page to find a safe place to stay nearby, or call the number above to tell us your story. It’s easy to understand when a woman is afraid to leave her partner because she is afraid that he will hurt her, or even kill her, if she tries to leave. But the truth is that physical violence is only one symptom of abuse. Violence is only one method of controlling a partner. While striking or threatening a partner may make them fearful enough to stay, it also gives them a significant reason to leave. By the time a living situation has escalated into violence, an abuser has typically set up many other methods of control to make it extremely difficult for the victim to simply walk away. Money. The biggest reason women stay in unfavorable relationships is because they believe that they have nowhere else to go. Their partners may own their home, their car, and provide the majority of their income. Education. Victims who have not completed as much higher education as their partner may fear that they will be unable to get a job to provide for themselves and their children, or may have been told that they are “not smart enough” to make it on their own. Children. Domestic violence affects whole families in Seattle. Women who are afraid that they will be unable to provide for or protect their children if they leave will typically stay in an abusive situation longer than women without children. Lack of support. Many cultures look the other way when domestic violence occurs, or do not see it as a viable reason to end a marriage. If a woman is told by her relatives that violence is normal or natural, she will not have the benefit of familial resources when she leaves, and she may be frightened of being alone. Psychological trauma. Many women do not take action against their abusers because they are paralyzed by the psychological effects of the trauma. Fear of legal issues. Many victims may have been told by their partner that the law will not protect them, that lawyers are expensive, and that the court will not be able to keep a perpetrator away from the victim and her children. If someone in your family needs legal protection from an abuser, we can help. Click the contact link on this page and we will contact you privately to listen to your story and explain your options. How can I get help if my ex violated a civil protection order in Washington? Can My Ex Still Have a Gun If I File a Personal Protection Order? It’s a few days before your hearing, and your ex keeps trying to initiate contact with you. You know he has been served with the civil protection order and upcoming court date—but you’re terrified to think that he might show up at your door. What should you do if he violates the term of the protection order? Who Can I Call for Help If Someone Violates the CPO? If your ex violates the terms of the CPO, call the police. Your ex will be placed under mandatory arrest if he has attempted to initiate contact with you or enters a shared residence that he has been ordered to vacate. In addition, he could face possible criminal or contempt charges at the hearing. If your ex violates the protection order and is convicted, he may be ordered by the court to complete a yearlong State-certified domestic violence treatment program. Defendants will have to undergo 26 weeks of individual and group meetings—at their own expense—and must meet exit criteria before being discharged. A judge may also order mandatory alcohol and drug counseling, sexual deviancy treatment, or parenting courses. If the abuser is convicted of a domestic violence offense, he will typically be placed on supervised probation for two years by the Seattle Municipal Court Probation Department’s Domestic Violence Unit. Probation officers monitor the abuser to ensure that he attends all court-ordered treatment programs and counseling sessions. In addition to state mandates, federal law prohibits interstate travel with intent to violate a valid protection order or causing a spouse or partner to cross state lines by coercion, fraud, or force. Abusers may face up to 5 years in prison as a result of a federal protection order violation that results in bodily harm, or life in prison for a violent act that results in the victim’s death. If someone in your family needs legal protection from an abuser, we can help. Click the contact link on this page to tell us your story, and we will contact you privately to discuss your options. How can I help my son or daughter if I think they are in an abusive relationship? You hope that your children would be able to come to you if they have a problem—even if that problem is embarrassing or could make you lose respect for them. But what if you don’t like the way you daughter’s boyfriend grabs her arm, or the way your son’s girlfriend berates him in front of his friends? Should you speak up, or wait for your children to come to you for help? What Behaviors Make a Relationship Unhealthy? Does your child constantly apologize or make excuses for the abuser’s behavior? Is your child constantly answering texts or calls from the abuser when they are not together, or always return early from an outing because the abuser wants her home? Is your child no longer involved in the same hobbies, groups, or activities that they used to enjoy? Have your child’s friends come to you with the same concerns? Does the abuser act jealous of other people who are close to your child? Is your child incapable of going places without the abuser coming with him/her? Does your child dress differently in this relationship than in the past? Has the abuser ever had a violent outburst that destroyed your child’s property or broken household objects? How Should I Handle a Talk With My Child? No matter how old they get, your sons and daughters will always be children--and as your children, you have a right to protect them from any harm. Talk to them about what you have seen, and make it clear that your only concern is their safety. Avoid assigning blame or passing judgment—you should offer information and give them an easy-to-remember safety plan for an emergency situation. If someone in your family needs legal protection from an abuser, click the contact link on this page to let us help explain your options to you. Can “cabin fever” cause domestic violence and abuse? Let’s be clear—there is absolutely no excuse for domestic violence and family abuse. Although abusers often like to blame others and other circumstances for their outbursts and behavior, it is ultimately their hand that causes the violence. With that being said, there are circumstances and situations that have been linked to higher rates of domestic violence – factors that can increase the likelihood of abuse. For example, domestic violence has been correlated with drugs and alcohol, financial stress, past abuse, and unemployment. Although no formal studies have been conducted regarding the relationship between winter weather and domestic violence, many agree that there is a connection between being cooped up in the home during winter and family abuse incidents. Some domestic abuse hotlines have reported up to a 20 percent increase in calls during the winter months and snowstorms, while authorities in the United Kingdom have reported an uptick in domestic violence calls during heavy rains. Experts say that abuse connected with winter weather and cabin fever probably comes about simply because family members are contained in a small space with little opportunity for escape. Abusers may not have a way to release their anger, while abuse victims may not have a way to escape from the home when tempers start to flare. If you believe you may be in danger of violence or abuse during the winter months, you should know that there are a number of resources available to you in Washington State and the Seattle area. Please visit our domestic violence resources to learn more about who can help. What should I do if I see or hear a domestic dispute? Domestic abuse and domestic violence is far too common and there may come a time when you witness a domestic violence incident or overhear a fight between partners. What should you do? Keep yourself safe – Although you may wish to be a hero and save the day, domestic disputes can be complex and dangerous—especially if some people involved are out of control. If you feel that the situation is at all unsafe, call the police immediately. Remember that it’s not a private family matter – It is a misconception that domestic violence is between family members and therefore not a public issue. Domestic violence is a crime, plain and simple. Would you report other crimes if you saw them committed in public? Call the police – A domestic dispute is likely breaking the law, whether someone is being physically assaulted or whether the couple is disturbing the peace. Instead of wondering what to do, let the Seattle Police decide what actions to take and whether someone should be arrested. At the very least, the authorities can deescalate the situation. That’s what they are here for. If you suspect domestic violence but an assault or dispute is not currently taking place, there are still steps you can take to help. Express your concern to the victim if you are able to do so in a private place. Don’t judge or criticize. Let them know that you are there to help. It is difficult to know what goes on behind closed doors, even if you are close to the person that you think may be suffering abuse in his or her home. However, if you are seeing a large number of warning signs of domestic abuse and domestic violence, you should know that it is important that you speak up. While you should not pressure your loved one or give them advice, you should let them know that you are there for them, listen to what they have to say, and offer any help that you can. In addition, make sure that they know of the many local resources for abuse victims in Washington State. Do you need the assistance of a Seattle domestic abuse attorney, or do you have a question about domestic violence law? Call the Law Offices of Molly B. Kenny today to schedule an appointment at 425-460-0550. Is Verbal Abuse A Crime in Washington? Verbal abuse and verbal assault are tricky topics when it comes to the law and what constitutes a crime. However, if you can prove that a person such as your partner or spouse threatened to harm you under certain circumstances, verbal abuse may indeed lead to criminal charges. Verbal abuse takes place when words are used to inflict pain, harm, and control over another person. Forms of verbal abuse, which most often takes place between those who are in a relationship or used to be in a relationship, include yelling, swearing, blaming, threats, insulting, name-calling, blaming, and intimidations. Verbal abuse can lead to feelings of isolation, low self-esteem, depression, loss of self, and post-traumatic stress disorder. Those who believe they are victims of verbal abuse should remove themselves from their unhealthy environment as quickly as possible. For help in the Washington State area, click here for a list of local Seattle abuse resources. Is Verbal Abuse Considered A Crime in Washington? Generally, verbal abuse and emotional abuse are not themselves crimes. But Washington State does have several laws that are sometimes applied to cases of domestic verbal abuse. For example, a person who is loudly and disruptively shouting at their spouse may be charged with Disorderly Conduct. More commonly, a person who is verbally abusing his or her spouse or partner may be met with a Harassment charge. 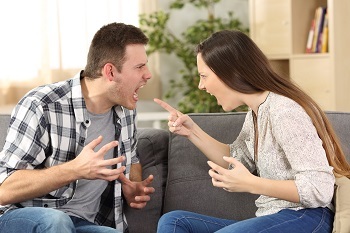 It is important to note, however, that this charge requires specific types of verbal abuse: your spouse must threaten you in a manner that is reasonable to believe. In other words, if his or her threats are empty ones, it is not likely that charges will follow. On the other hands, if he or she threatens to assault or kill you and it is reasonable that he or she may do so, a law has been broken. Aside from the question of whether verbal abuse is a crime in Washington State, it is vital to understand that verbal abuse is often an indicator of emotional abuse and future physical abuse. If your partner or spouse is calling you names, shouting at you, or threatening you, that abuse may escalate to even more damaging forms of abuse. In addition, you should understand that verbal abuse — even if it is not breaking a law — can have serious and long-term effects on your mental health and wellbeing. Do you need legal assistance regarding verbal abuse, emotional abuse, or physical abuse? 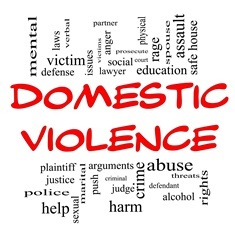 Call a Seattle domestic abuse attorney at the Law Offices of Molly B. Kenny today at 425-460-0550. What Are the Potential Warning Signs That a Partner Could Become Abusive? Abusers often want to quickly escalate a relationship – they want to move in together or get engaged on an accelerated timeline. Abusers may be very charming and charismatic at first – and may use this time to gather sensitive information about you. Abusers often display controlling behavior, perhaps related to how you spend your time, who you see, or how you spend your money. Abusers are often jealous. While this jealousy may at first seem like concern or caring, it can morph into control and jealous rages. Abusers often try to isolate the victim. In early stages, this may involve wanting to spend large amounts of time alone with the victim. Abusers may display sudden shifts in mood and personality – charming one moment and frightening the next. Domestic abuse can be extremely harmful – and domestic violence is just plainly illegal. If you are navigating a divorce or child custody case that involves domestic violence, you may wish to speak with a Seattle domestic abuse attorney. Call Molly B. Kenny today to schedule a private consultation. Can I Own A Gun After A Domestic Violence Conviction In Washington State? Every person convicted of a domestic violence crime in Washington State is prohibited from owning and carrying a firearm, even including those who might carry a gun as part of their employment, such as police officers or members of the military. At the time of the domestic violence conviction, a person will be asked to hand over any gun licenses as turn in any firearms. This restriction is permanent, although you may petition the court at a later date to reinstate your right to carry a firearm. Have you been faced with a domestic violence charge? Speak with a Mercer Island domestic violence lawyer today. What Are The Consequences Of Being Convicted Of A Domestic Violence Crime In Washington State? The consequences of being convicted of a domestic violence crime in Washington State depends heavily on the nature and seriousness of the crime. However, the consequences of being found guilty of domestic violence could include prison time, various monetary expenses such as court fees and fines, probation, a no-contact order, and the loss of child custody or visitation. You may also permanently lose your right to carry a firearm. If you are an immigrant, a domestic violence conviction may have special implications regarding your residency. If you have been accused of domestic violence or are a victim of domestic violence and need legal representation, contact a Seattle domestic violence attorney today. 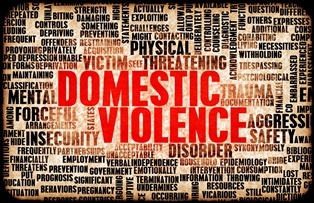 Are There Root Causes Of Domestic Violence? Over the years, studies have indeed linked several outside factors to incidents of domestic abuse. For example, domestic violence is much more rampant in households that suffer from addiction issues and substance abuse issues – and in households in which abusers have their own history of being abused during childhood. In addition, domestic abuse has been linked to feelings of low self-worth, financial stress, and mental illness. However, although these issues can help us better understand the root causes of domestic violence, and assist abusers in seek help for their behaviors, they are absolutely no excuse for domestic abuse. No matter what the “reason” for physical, verbal, or sexual abuse, understand that violence in the home is wrong, illegal, and extremely harmful. Will A Domestic Violence Protection Order Keep Me Safe? While studies have shown that protection orders do help reduce violence overall, such an order, also called a restraining order, will not necessarily protect you front your abuser. While a protection order is in many cases an important legal step to take in a domestic abuse case or divorce case, it is, at the end of the day, simply a piece of paper that will not guarantee your safety. After obtaining a protection order, be sure to take further steps to ensure your physical safety: go somewhere safe where your abuser may not know how to find you, alert your friends, relatives, and employer to your situation, and take advantage of local domestic violence resources.